TechniSat offers seed funding and smart capital (such as mentoring, development, manufacturing and sales infrastructure) for start-ups with core competencies in the IoT and consumer electronics (CE) sectors. We are interested in start-ups that have the potential to fundamentally change or innovate relevant new markets for TechniSat in the German-speaking region. TechniSat is looking for start-ups with innovative technologies that want to change the world. Startups that either solve a problem in existing markets, add value, or simply improve or simplify people's lives. But also start-ups that want to open up completely new markets, in which there is a direct or indirect link to TechniSat's target markets. We also prefer start-ups that work on innovations in existing business fields. We want a founding team that burns for its idea, yet is also realistic, remains self-critical, is passionate, qualified, convinced and committed. We want founders who have the skills necessary to be entrepreneurs. The team should consist of at least 2-3 founding members. The business model/products must be marketable, promising and scalable. Startups should basically be interested in cooperating with TechniSat. TechniSat is looking for startups and partners from the ICT industry with innovations and groundbreaking projects in these sectors/target markets. In addition, we are happy to go in new directions with you to create new markets. We are always looking for competent partners outside our core portfolio. So if there is something you are not sure about, but you are convinced that it is right for us, just write to us. Our aim in a partnership is to achieve a classic win-win situation. To achieve this, we analyse how we can complement each other as partners, because you can only achieve a profitable partnership with complementary strengths. If you come to the conclusion that the basics fit on both sides, we can bring a lot of advantages to a partnership. We can offer expertise in many segments. A team of experts with many years of experience and comprehensive knowledge is at your side to support you in all aspects of your business: Operations, technology, production processes, product development, software development, prototyping, testing, quality assurance and inspection, product management, purchasing, sales, logistics, service, marketing and public relations, brand development/brand management, legal and patent matters, licensing, certification and environmental management, etc. Within our group of companies and our network, we offer access to different business areas of value creation, e.g. operations, technology, production processes, product development, software development, prototyping, testing, quality assurance and inspection, product management, purchasing, sales, logistics, service, marketing and public relations, brand building/brand management, law and patents, licensing, certification and environmental management, etc. Based on our many years of experience and cooperation with all relevant trade and distribution channels in the CE sector, we offer valuable access to the end customer and thus also an enormous reach. With our local hubs we offer a technical infrastructure and access to our development, service, sales and production sites in Daun, Berlin, Dresden, Dusseldorf, Schoeneck, Stassfurt and Poland. We offer support before, during and after founding of the start-up. Depending on the location, we offer different options for service transfer, e.g. in the form of co-working spaces, services, or development and production services, which are supported by our experts. 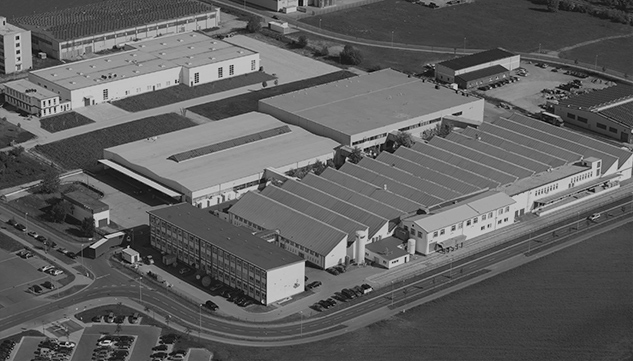 Daun/Eifel was the location for laying the foundation stone of our company in 1987. This site now houses the headquarters and management of TechniSat Digital GmbH. This is also the location for customer management, project purchasing, controlling, marketing, sales, human resources, legal, accounting and product management. The large TechniPark provides spacious premises with plenty of workspace. A perfect combination for carrying out training in which theory and practice complement each other. In the summer of 2005, TechniSat opened an office in the centre of Berlin (right on Friedrichstrasse). TechniSat’s presence in Berlin houses the North/East regional sales department. The Berlin office is also the headquarters of nexxoo Apps und Internet GmbH, a TechniRopa Holding company to which TechniSat Digital GmbH belongs. nexxoo develops digital solutions in the mobile, e-commerce and online sectors, specializing in the development of apps, online shops and websites. Furthermore, the nexxoo team offers expertise in branding, marketing, trend scouting and business development. 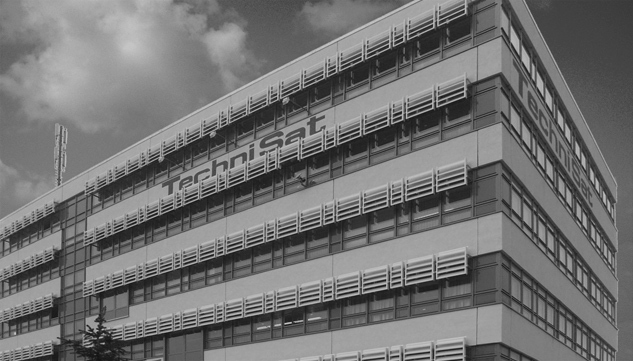 The Dusseldorf branch of TechniSat Digital GmbH is responsible for the worldwide export of TechniSat products. 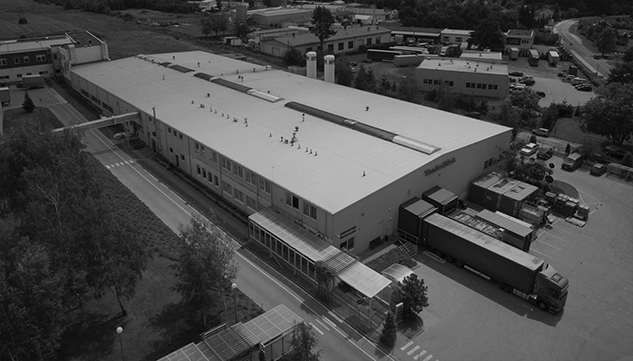 TechniSat Digital GmbH offers state-of-the-art production facilities and machinery at multiple locations in Germany and Europe, which are constantly being expanded. From manual assembly and automation to the use of the latest robot technology, state-of-the-art plastic parts, electronic components and products are manufactured to the highest quality standards. The privatisation of Klingenthaler Harmonika Werke resulted in the creation of TechniSat Vogtland GmbH in Schoeneck on 1 June 1992, which has been producing TechniSat devices ever since. Modern SMD assembly machines ensure the consistently high quality of TechniSat products. Today the Schoeneck site produces HDTV receivers, decryption modules, multiswitches, single cable solutions and satellite installation products. The site in Schoeneck is certified according to ISO 9001:2008. The plant, modernized in 2011, is an important location in the TechniSat company group and makes a valuable contribution to the company's success through its specialization in digital receivers. The historic plant in Stassfurt near Magdeburg has been a TechniSat site since 1998. In the former RFT factories, where innovative broadcasting technology was developed more than 70 years ago, high-quality digital televisions and smart TVs, so-called ISIO-NetSeher, are manufactured today. Over the past few years TechniSat has been systematically investing in the renovation and modernization of the factory systems and in the expansion of its production facilities. 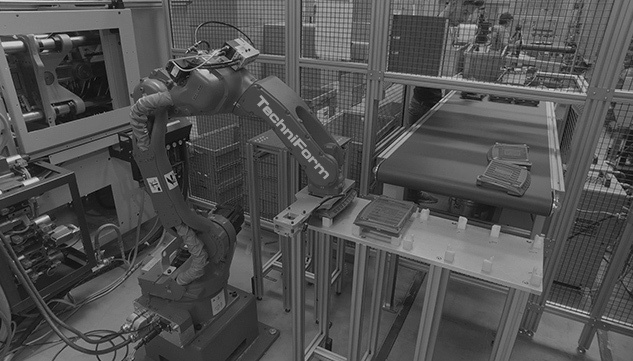 At our Stassfurt plant, TechniSat Teledigital GmbH uses the most modern technologies to ensure automated production which meets the highest demands of quality, reliability, capability and service. The factory serves both as a production site and a service centre. A large number of trained service, repair and support personnel there provide support to qualified dealers and end customers. 2006 marked the start of manufacturing at our production plant located near Wroclaw, Poland. 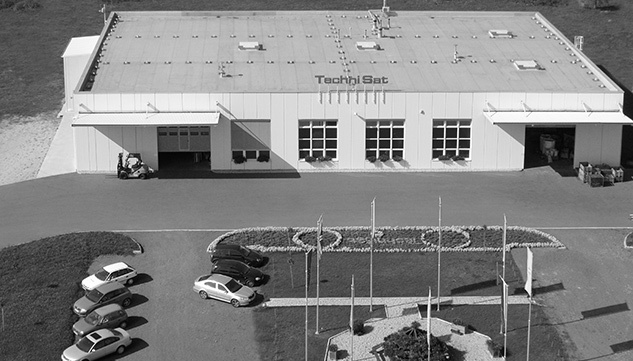 With the construction of the plant in Poland, TechniSat was able to bring production back to EU Europe from the Far East. TechniSat Digital Sp.z o.o received ISO 9001:2000 certification in autumn 2007. TechniSat Digital Kft. is based in Budapest. This company is responsible for the production of the mechanical components for TechniSat satellite antennas. TechniSat Digital Kft. increased its capacity in autumn 2008 to meet the high demand for these products. Our company has been pushing ahead with its pioneering and entrepreneurial spirit for 30 years. We are proud to have been influencing the entertainment electronics market in Germany since 1987. We have grown in size and reputation thanks to our satellite reception technology. In the meantime, we have added televisions, audio solutions, smart home and other lifestyle electronics products to our core ranges. We want to make a valuable contribution to digital life and to focus on innovative technologies with easy access and networking. In an innovative environment, TechniSat creates unique solutions for tomorrow that connect people and generations. We develop and manufacture products in our own development centres and factories in Germany and Europe. Development, production, service, sales via all important trade channels as well as marketing and quality management - we combine all our skills to successfully launch and further develop products and services. TechniSat is evolving from a solution provider for digital entertainment to become a lifestyle electronics brand. We focus on brand values such as quality, innovative technologies and intuitive user-friendliness. Our goal is to always meet the high expectations of our customers. Should we be a fit for you with the requirements and ideas we have presented, we look forward to your application and to hearing from you. Information on your project or your idea, information and figures on your startup, information on the team. Describe your idea or the problem you want to solve, your business model, the market, competition and differentiation, the team and, if available, your idea of how the TechniLabs team can support you. Please also send any additional information documents. © TechniSat Digital GmbH - All Rights Reserved. All information provided without guarantee. Text, images, graphics, sound, animations and videos as well as their configuration on www.technisat.de are protected by copyright and other protective laws. Any unauthorized use of the TechniSat Digital brand or trademarks protected by TechniSat Digital, in particular the marketing of piracy products or the advertising of such products in connection with the TechniSat Digital brand, will be prosecuted. Links to the content of these pages are only permitted if they are displayed in full, without advertising frames on the linked page. Cross-linking (linking to individual graphics) to exploit the transfer volume of www.technisat.de is not permitted. TechniSat Digital will take legal action against copyright infringements. In its ruling of 12 May 1998, the Hamburg Regional Court ruled that the inclusion of a link may entail co-responsibility for the content of the linked page. According to the Regional Court, this can only be prevented by expressly distancing oneself from these contents. We have placed references (links) on our pages to other pages on the Internet. The following applies to all these links: TechniSat Digital GmbH expressly declares that we have no influence whatsoever on the design and content of the linked pages. Therefore, we hereby expressly distance ourselves from all content on all pages linked to by www.technisat.de and do not adopt this content as our own. This declaration applies to all links displayed on our website and to all contents of the pages to which the banners and links registered with us lead. The information provided on this website has been carefully checked and is regularly updated. However, no liability or guarantee can be assumed that all information is complete, correct and up-to-date at all times. This applies in particular to all links to other websites to which direct or indirect reference is made. All information may be changed, removed or supplemented without prior notice. Online settlement of disputes pursuant to Art. 14 para. 1 of the ODR directive: The European Commission provides a platform for Online Dispute Resolution (ODR), which can be found at http://ec.europa.eu/consumers/odr/. This website works exclusively with anonymized data and does not process any personal data. Personal data is any information relating to an identified or identifiable natural person (hereinafter the "data subject"). A natural person is considered to be an entity that can be directly or indirectly identified, in particular by association with an identifier such as a name, an identification number, location data, an online identifier or one or more specific features that express the physical, physiological, genetic, mental, economic, cultural or social identity of this natural person. Nevertheless, we would like to inform you of data protection. Your Rights Information, deletion and other rights: You can always obtain information about the data stored about you (Article 15 of the European General Data Protection Regulation). In addition, under the conditions laid down in Articles 16 to 21 of the European General Data Protection Regulation, you have the right to correct and delete your data, and to restrict the processing and data portability of any data provided. Appeal: You have the right to contact the company's data protection officer at any time should you have any complaints regarding the processing of your data. The person’s contact details are stated above. In addition, you have the right to complain to any regulatory agency for privacy issues. The official monitoring authority responsible for the company is stated above. Withdrawal: If the processing of data is based on your consent, you may revoke this consent at any time with effect for the future. If the processing of data is based on our legitimate interest, you may object to this processing at any time for reasons arising from your particular situation. We will then only continue to process your data if there are justifiably compelling and defensible reasons that outweigh your interests, rights and freedoms, or if the processing serves the causes of enforcement, execution or defense of legal claims. Please direct your specific wishes to the contacts stated above.